Patrick was born on July 16th, 1937 in The Bronx NY to Thomas and Catherine. Shortly thereafter the family moved to Robbinsville, NJ where Patrick and his brothers spent most of their formative years. Patrick graduated from Trenton Catholic Boys HS and attended Trenton Junior College. Patrick’s love of country led him to enlist in the US Marine Corps, serving four years and attaining the rank of Corporal. During that time, while stationed in Japan, he met, as a pen pal, the love of his life, Rosemary Webster. They married in 1961 and started a family. Patrick joined JCP&L, working as a lineman and rising through the ranks to System Operations Supervisor. He retired after 40 years of loyal service. Patrick was a true gentleman and a devoted family man. He took great joy in supporting his children as they grew up by attending extracurricular activities as a spectator, coach and overall super Dad. This pride of family was magnified when he became a grandfather. Nothing gave him more pleasure than spending time with his cherished grandchildren. 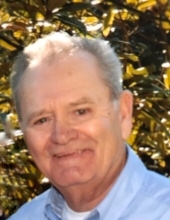 He enjoyed vacationing in Hilton Head, golfing, recounting stories of his days in boot camp, and sports, especially rooting for his Philadelphia Eagles as a season ticket holder. Patrick was also a man of great faith. He spent 49 years as a parishioner and volunteer at Church of Christ the King. Patrick is survived by his loving wife of 57 years, Rosemary Webster; daughters, Karen (Robert) Ball, and Sharon Burns; son Kevin (Dina) Burns; grandchildren: Brendan, Daniel, Holly, Bridget, Thomas and Claire; brother, Francis; sister-in-law Edna (George) Knudsen; and several nieces and nephews. Patrick was preceded in death by his parents and older brother, Richard. Funeral services will be held on Monday, December 10, 2018 at 10:30 a.m. at Church of Christ the King, New Vernon NJ. Burial will follow at Holy Rood Cemetery. The family will greet friends from 2:00 to 5:00 pm on Sunday, December 9th, 2018 at Doyle Funeral Home, Morristown NJ. In lieu of flowers, memorial donations may be made to Atlantic Home Care & Hospice and Carol G. Simon Cancer Center at Morristown Medical Center. A special thank you to the doctors and nurses at Morristown Medical Center and Atlantic Home Care & Hospice for their loving care and support during his final months. To send flowers or a remembrance gift to the family of Patrick Joseph Burns, please visit our Tribute Store. "Email Address" would like to share the life celebration of Patrick Joseph Burns. Click on the "link" to go to share a favorite memory or leave a condolence message for the family.